This is truly a question without bias, value, or finger wagging. Who am I to judge? The question may also be rhetorical because we all practice situational wellness. You know, wellness when it suits our needs and doesn’t interfere with our momentary whims. And, while I’d like to think we have control over our every-moment behavior, we don’t. That fact is very clear. Just look around, better yet, think about your own behavior. It’s part of our nature to periodically give in to Monkey Brain and BSOS (Bright Shiny Object Syndrome). It’s a feature of our evolution. This is a very important acknowledgement and admission. 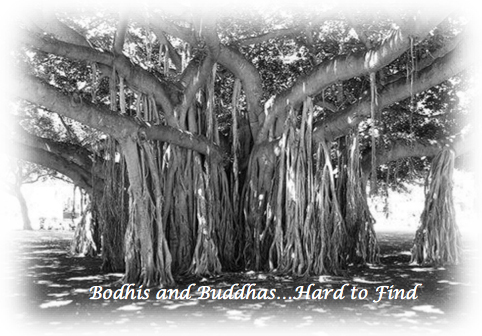 Bodhis and Buddhas are rare where I come from and, my guess, where you live as well. This fact does not mean that we are weak, corrupt, inadequate, a bad person or the Anti-Buddha. It means that we are human. It means that we are imperfect. I encourage you to embrace and celebrate your imperfection and that of others. To do otherwise is to live a life of self-recrimination, denial, stress, shame, guilt, contradiction and duplicity. Those who presume a higher plane of evolution tend to burst into flames. Elmer Gantry is my name and hypocrisy is my game. Before I go further, let me give you my definition of “wellness.” I’ve presented this before but it’s important for this context. For the purpose of this essay, the key root words are “dynamic,” “progress” and “increment.” With wellness there is no end point, at least not in this lifetime. Wellness is a paradoxical state wherein contentment of being and aspiration of becoming live in harmony. Therefore it is not the independent act or goal that is the concern. It is the understanding and intention (moral and ethical integrity) that separates the “saint” from the “sinner.” Once again, it’s all about context. Bear with me as I take us back to the year 1955, SS Peter & Paul School on Cherry St. in Jamestown, New York. Dogwood is in bloom, forthysias paint the backyard a bright yellow, my First Holy Communion is fast approaching (nifty white suit) and I have just reached the “Age of Reason.” This means that I am now morally responsible for my sins. 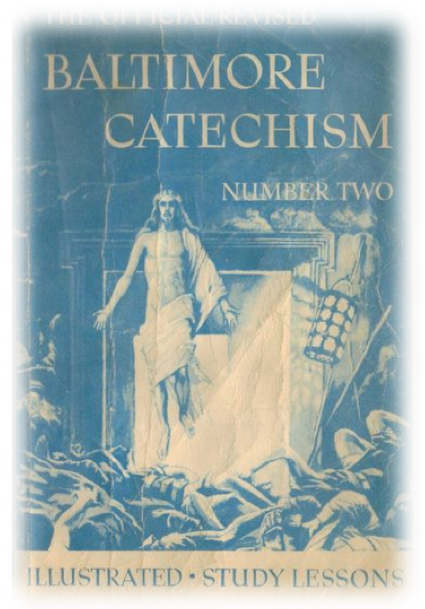 Hell could be my fate—will be my fate­—unless and until I understand, embrace and follow the teachings of the Baltimore Catechism. When I was seven I was barely capable of remembering my phone number yet alone all those commandments. However, that said, all these years later, I find some very good guidelines posted in that little blue book. Whatever your religious or philosophical equivalent may be, it’s worth retrieving the moral teachings of your youth and see how they might be applied in your world, today. Loosely interpreted, lesson 6 in the BC defines the existence of sin in terms of right or wrong, awareness and willful action. Something has to be truly wrong, you must know it’s wrong and you must do it, anyway. When these three criteria are met…you’ve sinned. There’s also an order of seriousness of sin based upon how much damage it does to your soul. A sin can be material (didn’t know), venial (small) or mortal (really big deal). Again, this is a loose interpretation. There is evidence to support that the behavior you’re considering is — in any way — physically, emotionally or spiritually harmful to yourself or others. You are well aware of the harm the behavior will cause. Going back to context, if your intention is to do something you know to be harmful, you’ve compromised your integrity for the reward or the expediency of the moment. It is this latter part…”for the moment” that makes all of us practitioners of situational wellness. Eat all the birthday cake you want, drink all the booze on Friday nights you choose, eat those “occasional” cheeseburgers to your heart’s content (or discontent), give children soda pop, fat and processed sugar and call it a “treat,” and smoke that celebratory cigar but just don’t tell yourself that you’re not a an avid follower of SW (situational wellness). If, according to known science, something is harmful, all the spinning in the world won’t change the FACT that it is harmful. Hey, I’m sorry but eating/serving jelly-filled donuts may be a venial sin compared to the mortal sin of deep-fried Snickers, however, they are both filled with known toxins and should be avoided if your intent is to stay on a path of wellness for you and those in your charge. No judgment—I’m sure you’ll still go to heaven—I’m just sayin’… . Be honest, that’s all. Oh, and be careful of using the “This-may-be-bad-for-my-body-but-every-once-in-awhile-it’s-good-for-my-spirit!” line. As you well know this is a very slippery slope. Besides, 99% of the time, “This” can be replaced by something that won’t—if consumed as directed­—cause harm. Well, like I said, you and me, we’re gonna sin some more. That’s a fact. The issue here is, are you serious about avoiding unhealthy habits and actions…those you know to be harmful? Or, for you, is their no paradox at all? Doth thou protest too much about being with only a phantom aspiration toward becoming? Important for you to figure out. Meanwhile, those donuts sure look good. Ah, what the hell, one can’t hurt. Even if you adapt the above personal mission statement as your own, it’s not good enough. We need help. We need the help of the collective to protect the health of the individual. I hope it’s clear by now that we are not good at self-monitoring. Not pejorative, just good old observation sprinkled with brain science. Rational thought plays second fiddle to random emotional reaction. Schools, worksites, government and family structure must provide safe, secure environments that foster wellness (as described) while helping individuals avoid the “near occasion of sin.” And, yes, this means no donuts at conferences, no sugar-treats at school functions, no candy bowls on desks and even (here comes the midwest heresy) no deep-fried Twinkies and Snickers at the State Fair!